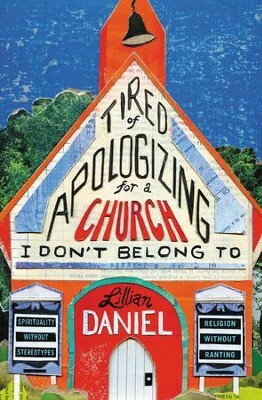 WHEN LILLIAN DANIEL APOLOGIZED to a total stranger for every bad thing that had ever been said or done in the name of Christianity, he was surprised that she was responsible for all that. "The Inquisition? Don't even raise it, I'm way ahead of you. I was mad about it before you even heard of it, that's how open-minded I am. Salem witch trials? I know! So embarrassing. Can I hang out with you anyway? You're too kind." "Religion is responsible for all the wars in history," they would say, and I'd respond, "You're so right. Don't forget imperialism, capitalism, and racism. Religion invented those problems too. You can tell that because religious people can be found at all their meetings." In this book, Daniel argues that it's time for Christians to stop apologizing and realize that how we talk about Christian community matters. 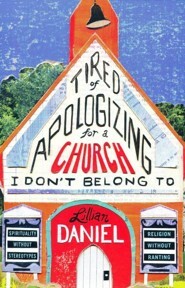 With disarming candor laced with just the right amount of humor, Daniel urges open-minded Christians to explore ways to talk about their faith journeys that are reasonable, rigorous, and real. AFTER THE PUBLICATION of the much talked about When Spiritual But Not Religious Is Not Enough: Seeing God In Surprising Places, Even the Church, Lillian Daniel heard from many SBNRs as well as practicing Christians. It was the Christians who scolded her for her forthright, unapologetic stand as one who believes that religious community matters. The Christians ranted that Christians, by definition, tend to be judgmental, condemning hypocrites, which is why people hate them. By saying religion matters, she was judging those who disagree, they said, proving the stereotype of Christians. Better to acknowledge all that's wrong with Christianity and its history, then apologize. In this book, Daniel shows why it matters how we talk about Christian community while urging open-minded Christians to learn better ways to talk about their faith. 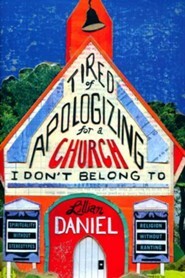 I'm the author/artist and I want to review Tired of Apologizing for a Church I Don't Belong To: Why Rigorous, Reasonable, and Real Religious Community Still Matters - eBook.